Once you login to your account, you will find this New Project tab selected on the top with a list of available themes you can use for your project. 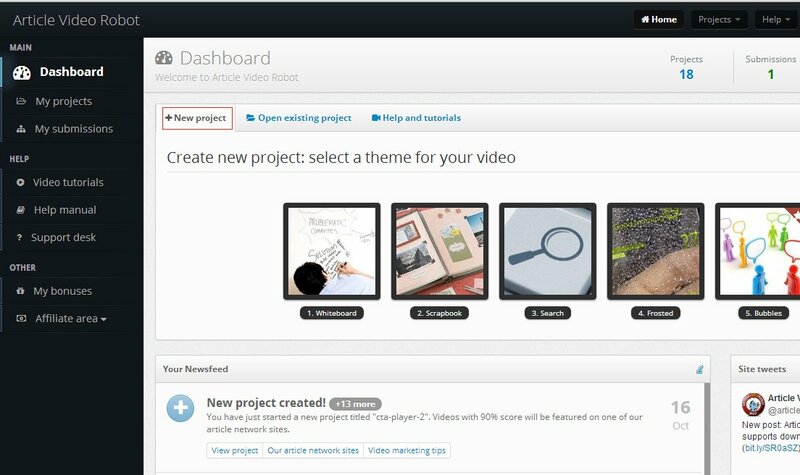 On selecting a theme a popup box will appear with theme preview and a button titled "Create Video" using which you can start a new project. Please read how you can add or fetch your existing articles for converting to video here. 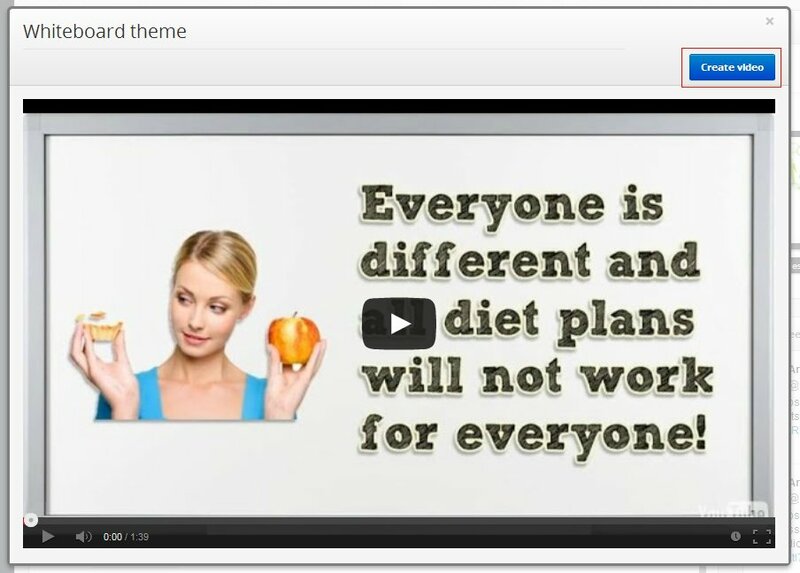 If you are using a free account, you will instead get a link to create a 30 second video.